The huge number of pedestrian crossings in London which have no facilities for blind and partially sighted people is “a total disgrace “ says Caroline Pidgeon, leader of the Liberal Democrat London Assembly Group. Research undertaken by Caroline Pidgeon (pictured left), has revealed that there are currently 347 Transport for London (TfL) pedestrian crossings which have no facilities to assist blind and partially sighted people to safely cross the road. This is despite there being long standing national accessibility standards to ensure every pedestrian crossing has either an audible sound and/or a rotating cone to assist blind and partially sighted people. In Putney at the A219 Putney High Street crossing with the A205 Upper Richmond Rd the crossing is neither tactile or audible compliant nor are its timing compliant. The second is at the crossing of A219 Putney Hill and Putney Heath Lane, this is timing compliant but neither audible or tactile compliant. 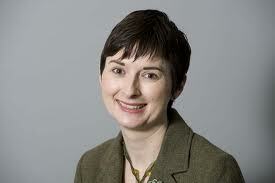 In addition to widespread poor access for blind and partially sighted people Caroline Pidgeon has also discovered that there are 113 pedestrian crossings which also fail national safety standards by not providing the minimum amount of time for pedestrians to safely cross the road. “It is a total disgrace that London has so many pedestrian crossings which are inaccessible for blind and partially sighted people or fail to give enough time for pedestrians to safely cross the road. It says everything about the low priority given to pedestrians by the Mayor of London that such basic safety standards are still not being met at so many pedestrian crossings across the capital.